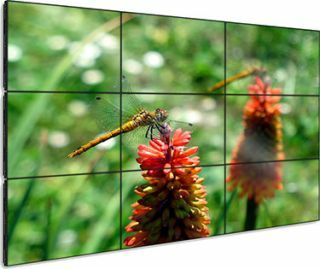 Looking to build the perfect video wall? Join Systems Contractor News editor Kirsten Nelson, and Peerless-AV industry experts Todd Mares and Brian McClimans, tomorrow, July 23, for a webinar on "Advanced Video Walls." They’ll take you through all the steps you need to consider when building a video wall, including site visit and consultation, budgeting, structural engineering, and maintenance and service. Register here. Kirsten Nelson is the editor of Systems Contractor News (SCN) magazine. She started covering AV integration for the publication in 1998, starting as assistant editor and working her way rapidly through senior editor and managing editor positions until she was named editor in 2000. She also co-launched Residential Systems magazine in 2000, and served as assistant editor for Medialine magazine from 1998-2000. Throughout her career, Nelson has also held editorial positions on the InfoComm Daily, the NSCA Daily, the AES Daily, and the CEDIA Daily off and on since that publication was inaugurated in 1998. She remembers the days when polaroid photos and late-night press checks were required for "live coverage" of shows. But the technological evolution has been good to her, as she is now able to attend industry events instead of going to the printer every night.Nelson received her Bachelor of Science in Magazine Journalism from Boston University in 1998. In her spare time, Nelson writes fiction and cultivates her understanding of music, art, literature, yoga, pilates, running, knitting, cynicism, and single malt scotch. Todd Mares joined Peerless-AV in 2011 after a decade of installation and integration work for cable TV and specialty audiovisual and electronic solution companies. In his current position, Mares’ primary responsibilities involve testing and deployment of Peerless-AV digital content delivery solutions. He also works directly with Peerless-AV customers to solve site-specific implementation and integration challenges and provides direct support, including feedback as to proper use of Peerless-AV TV products and correct implementation strategies. Mares is CEDIA Certified, CTS Certified and AMX Designer/Installer Certified. He earned a Bachelor of Natural Sciences from Colorado State University. Brian McClimans serves as Vice President of Global Business Development at Peerless-AV. In his current role, McClimans is responsible for establishing new markets, developing new products and managing strategic relationships for Peerless-AV throughout North America, South America, EMEA, and Mexico. With more than 20 years of experience in the audiovisual manufacturing and distribution industry, McClimans has played a key role in the development and implementation of numerous national digital signage projects including video wall, menu-board and interactive kiosk solutions. He frequently speaks at industry conferences including InfoComm and the Digital Signage Expo.